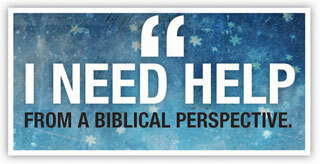 One of the goals of the local church is to provide such godly encouragement. This comes from a proper focus on God. In reality our encouragement results from our adoration of Him. A by-product of our worship is our service. As our Lord didn’t come to be served but to serve, so likewise it is the Christian’s responsibility to reach out to the needs of others. 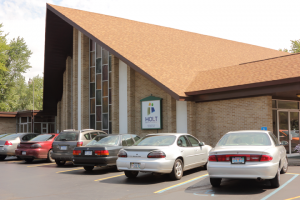 Holt Baptist has been part of the greater Lansing community since 1952. Since its inception the congregation has been committed to the absolute authority of the Bible as the Word of God. This is the basis of our ministry. It is from the Scriptures that the church is equipped to know and serve Jesus Christ. Oh come, let us worship and bow down; let us kneel before the Lord, our Maker! – Psalm 95:6. Every Sunday we meet to focus on the triune God, offering ourselves in worship. Our music ministry blends the historical with the contemporary as each participant is encouraged in whole-hearted devotion to Christ. Worship involves our submission to the Word of God as it is proclaimed faithfully each Lord’s Day. Our pastor is committed to expository preaching where the Bible is taught systematically verse by verse. The church is committed to producing fruitful disciples of Christ for God’s glory. We prayerfully seek to introduce people of all ages and walks of life to Jesus Christ, to strengthen their relationship with Him and equip them to minister to others in the church, our community and the world.